Risk. This is a heavy word. When it comes to your organisation, the chances that no one really wants to talk about risk. And if they do, well it is behind closed doors in a hushed whisper. In reality, you should be openly talking about risk. Risk is not something you should be afraid of. Quite the opposite – the more you know about and understand the risks your business faces – the better prepared and successful you’ll be. Leave the whispering and closed doors to your competitors. We could get bogged down with a heavy analysis of the word risk, and its partner, risk identification. But we really don’t want this to get boring, so we’ll stick to real world examples and take a look at how and why you need to spend some time thinking about risk and risk identification. To keep things simple, here’s my definition of risk: events or occurrences that can interrupt, slow-down, or harm your business. You’ve worked hard to build a successful business and you want to keep it this way. So what haven’t you talked about, thought about, or planned regarding the risks that could affect your business, both directly and indirectly. In a perfect world, your business wouldn’t face any risks but let’s face it – nothing really is perfect. For our purposes right now, let’s imagine your business has a team of skilled employees, valued customers, a proven product and a board of directors that is always asking for more sales. Sounds pretty standard, right? Okay, so what risks would this business face? Your business is only as good as your employees. You’ve got some people who have been at your company for years – they know the ins and outs of every aspect of your product. These are the people you turn to whenever a problem crops up, or a new student or employee has questions. What would you do if these employees left your company? Will you lose all of this valuable knowledge? What is your plan to guarantee that you’re not left scrambling when long-term employees leave? Time to think about creating a Wiki, holding weekly lunch’n’ learns to get all of your employees informed, and time to think about who you would contact in the event of a disruption to your product or service. Too often people think the supply chain applies only to businesses that create a product that is packaged and available for sale on store shelves. Wrong, Supply chain applies to each and every type of business out there. Whether you’re creating a cloud-based product, are publishing eBooks, providing a customer support service or are developing trade show stands for clients – you rely on a supply chain. The supply chain is simply the process your business follows to ensure your product gets designed, created, and sold. How will your business cope when there is an interruption to this process? How will key employees find out that there is a problem? What message will you send to your customers? What is your plan B? It is surprising that in 2013 so many businesses still operate with old-fashioned business practices: holding super intense closed door meetings with upper management and then dictating to employees the direction the company will be taking. In some companies, this management style trickles down to decisions that really these people don’t know much about – forgetting that it’s important to trust those they’ve hired. Yes, shockingly this still goes on. When this communication style happens, it is no surprise that messages are misunderstood, employees feel uneasy, and communication between management and employees breaks down. With open communication you can be confident that everyone in your organisation is on the same path – working towards building better products and having fun doing it. But this only works if you are communicating the right messages to the right people, at the right time. Your local office needs to know about local impacts but not when the power is out in another office. Your graphic designers need to know about product vision but they don’t need to know about the APIs. Your IT department needs to know about backup systems and offsite working plans when a disaster strikes but they don’t need to know about the plans for the office summer party. Your software developers need to know about the next product deployment schedule, but they don’t need to know about budgets and staffing concerns. Quite simply, you need to take a look at your organisation and give it a good once-over. How are you managing your employees? Are there any gaps or holes in getting your product to your customers? When was the last time you talked to your employees about the company direction? Your company like every other company faces risks. It is what you do to prepare for these risks that makes the difference. 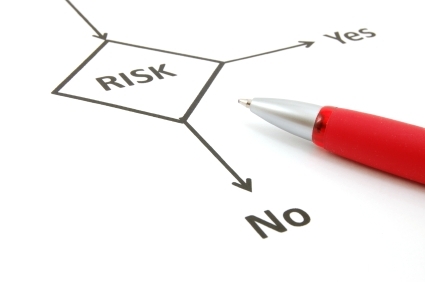 Take the time to identify the risks and determine how you’ll manage these risks. At the end of the day, everyone will thank you – your employees, your customers, your board of directors and you’ll likely sleep a lot better.